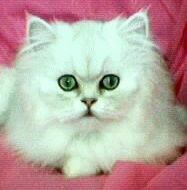 It's our passion to share our Persian kittens. We are at our kittens' beck & call. They will give you a lifetime of unconditional love and companionship. You are welcome to visit us at Pampered Persians (pampered-persians.angelfire.com). This website appears to be having issues, so I've included this Facebook profile.